Whenever visitors or volunteers arrive at CHOSA, the staff comes together to share our organisations mission and vision with these individuals, giving them an idea of what kind of work we do and why. From this initial meeting we then take them around to our various partner organisations to show them where the real work happens: on the ground, in the community, and by the community. It’s easy as a staff member to get caught up in the daily emails, phone calls, and coordination that consume a large portion of my day. That’s why it’s so important to have these kind of opportunities to return to our partners, beyond just the projects that I coordinate, and see first hand the amazing work they are doing. The community members and children that we work with at our partner organisations are the real inspiration for CHOSA’s continued hard work to raise funds and provide capacity building. Having CHOSA visitors and volunteers meeting these individuals for the first time and seeing first hand their work reiterates this importance. This experience, sharing our partner organisations with guests, returns me to the first times that I was introduced to our partner organisations. I will forever be inspired by the compassion, strength, and resilience that the community members who founded these organisations exude. I’m thankful to have the opportunity to stay connected so closely to all of the projects that CHOSA supports, in order to continually motivate myself to work my hardest to raise awareness and funding that sustains these community organisations efforts. 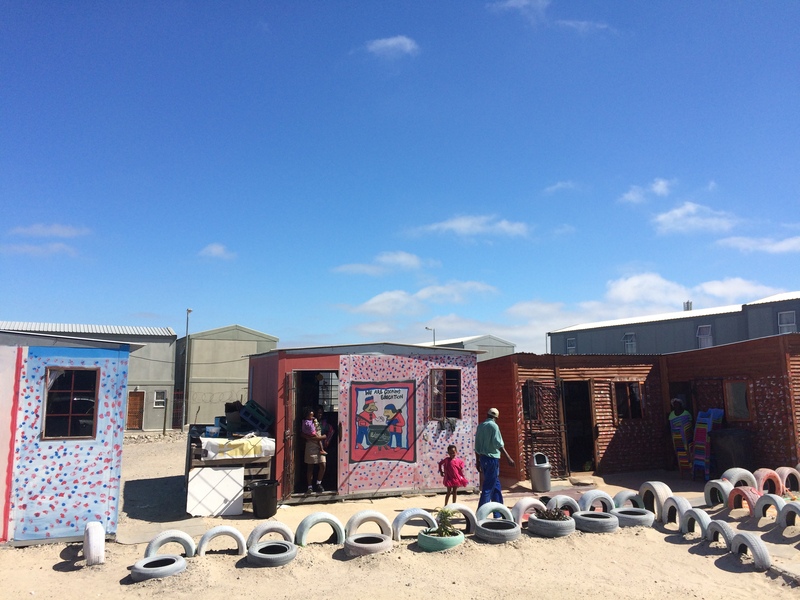 The children of South Africa are greatly benefiting from our partner organisation’s initiatives within their communities to create safe spaces for them to learn, grow, and thrive. Please reach out to [email protected] if you are interested in supporting our efforts to provide funding to grassroots organisations in Cape Town that work with orphaned and vulnerable children. We would love to share with you the amazing individuals who are doing so much for the children of South Africa.